Did you have an MRI telling you that you have a disc herniation or spinal stenosis (pinching of the nerve)? Is your chiropractor or physiotherapist treating you for spinal stenosis found on your MRI or X-ray. Your chiropractor or physiotherapist might be treating the wrong thing. A surprising number of chiropractors, physiotherapist and medical doctors believe the MRI and X-ray reports more than their own findings. Most of them allow these reports to influence your treatments. You probably believe your health practitioner too especially when you can actually see the nerve being pinched on the MRI. Why wouldn’t you believe what you can see? What you see is not always true for spinal stenosis. What is stenosis? Stenosis is the abnormal narrowing of part of the body. There are two types of stenosis as it relates to the lower back. Lateral stenosis is the narrowing of the opening for the nerve that comes out from the spinal cord between two vertebrae. Spinal Stenosis is the narrowing of the opening where the spinal cord sits from the brain right down to the bottom of your spine. 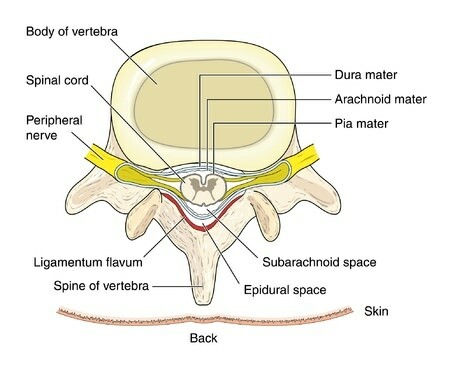 If you have lumbar spinal stenosis, you have narrowing of the opening where your spinal cord sits in the lower back. So why can’t you always trust what you see on MRI for Stenosis? Research shows that what you see on MRI doesn’t relate to the examination by your health practitioner for stenosis.. This means your chiropractor may diagnose you with spinal stenosis, and when you check your MRI you have don’t have spinal stenosis. On the other hand your physiotherapist might say to you that you don’t have a pinched nerve only to discover that you have spinal stenosis. So who should you believe than? The health practitioner or the MRI. Your health practitioner: they should correlate the finding of your MRI with their clinical examination. This still doesn’t guarantee results. Then your chiropractor should give you specific goals for your possible stenosis then treat you for it. If it’s not working after 3-4 weeks then change the treatment for another possible diagnosis for another 3-4 weeks. What Works For Spinal Stenosis? Conservative treatment that works includes therapeutic exercises, combined epidural steroid injections which seems to have lasting effects up to 3 years. For those with severe stenosis, surgery is the most common and helpful for most people. 1. Haig AJ et al, Archives of Physical Medicine & Rehabilitation 2006; 87: 897-903. 2. Simotas AC, Dorey FJ, Hansraj KK, Cammisa F Jr. Nonoperative treatment for lumbar spinal stenosis. Clinical and outcome results and a 3-year survivorship analysis. Spine (Phila Pa 1976). Jan 15 2000;25(2):197-203; discussions 203-4. [Medline]. 4 Responses to Lower Back Spinal Stenosis: Is Your Treatment Right or Wrong? Hi Dr. Ken, I’ve been told through a CT scan that I have: a broadbased disc bulging with mild retrolisthesis in L1/2 and with a mild canal stenosis, will light excerises help me or not. Also had lumbar fusion 2 years ago, have degenerative diesease, no cartilage between the joints, can someone like you help me and if so, who do you recommend for me to see someone in Melbourne, I live in Reservoir and also is there a cure for what I have! I sincerely thank you for taking the time to reply to my queries. Basically, in this article, I talk about the fact that most MRI results are not clinically relevant. In other words, they are not causing any symptoms. While you may have mild canal stenosis, it is very unlikely to be causing you pain. Now if I examined you I may change my mind and find that is the reason for your pain but until an examination and history correlate to your actual symptoms then that is the only time you will attribute MRI findings to pain. The problem is that in the world of MRI many health practitioners will diagnosis by MRI and not the other way around. This is an opinion and not a recommendation. Hope that helps your spinal stenosis. You cannot do the exercises without supervision for many reasons. Hope that helps your slipped disc and spinal stenosis.